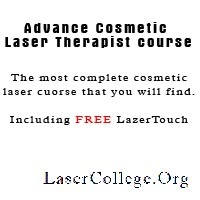 What can the Laser College offer you? 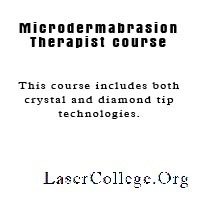 The Laser College provides recognised training. Our online courses have been independently evaluated to guarantee that they meet the highest standard of course excellence. 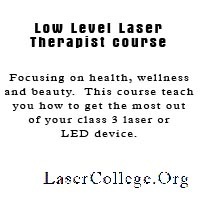 Why take a Laser College course? Completing your training courses online gives you the freedom to work through the curriculum in your own time and at your own pace. There's no need to find time to get to classes, or slow down to wait for other students. With the Laser College’s online training courses you will enjoy one on one trainer support and the ease of studying anywhere and anytime! Simply log into your account and continue your course where you left off. Who should complete the Advanced Cosmetic Laser Therapist course? If you would like to practice as a laser therapist and actually do the treatments yourself, or assist a laser therapist during treatments. What is 100% Online Training? Each of our courses is developed to provide students a 100% online training experience. All course advisors, trainers, study and assessment must be available to you online and with 24/7 access. Why should I choose to study with the Laser College? Our high standard of online courses guarantee a stress-free learning experience, allowing you the freedom to study at a time and pace that suits you! Yes! All our courses are written by experts in the subject field. Our courses have been specifically designed to make your learning experience as engaging as possible. Is practical training not more important than theoretical training? No. Before you can even think of doing practical training in this industry you must have a good knowledge and clear understanding of the area you would like to focus on. Practical training for an IPL therapist will be completely different from that of a low level laser therapist. However, a highly qualified laser therapist will know all treatment areas inside out from low level laser therapy to IPL, LED and high power laser therapy before (s)he even touched a machine. Because of the high prices of these type of equipment students are usually forced to choose an area of specialty before starting her/his studies. However, with the Laser College this is not necessary. Because we work with a wide range of partnering clinics to provide practical training, a student can do practical on more than one technology or machine if wanted. Do I have to complete practical training to complete my course? No. Practical training can be done as a separate component after the completion of the course. However, keep in mind that there are so many different machines in operation today that you have a good chance that you will never actually work with the same machine (make / model) than you have done practical training with. Most employers will provide you with machine specific training for the machines you will be working with once you enter employment. You will also receive machine specific training from the supplier should you purchase a machine.